Does Not Include Lids. 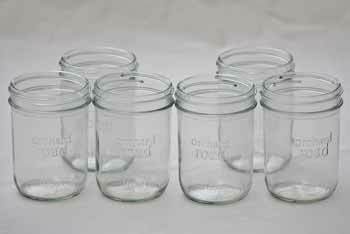 Purchase mason jar lids separately here. 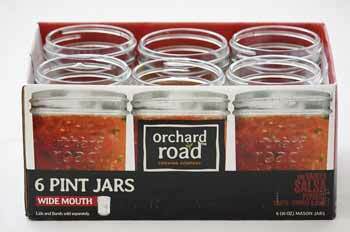 6 Orchard Road wide mouth pint jars for canning (16 oz). The simple design of these wide mouth pint jars make them great for canning, crafts, and display. Jar lids not included.